If you were looking for information regarding becoming a part of the Cookie Brigade for PAX Unplugged 2017 or you're just curious about what we're all about then you're in the right place. We're looking forward to a new PAX and a new Brigade experience! If you're not already registered on the Cookie Brigade website please do so ASAP! Then you'll be able to to join the PAX Unplugged 2017 group and help us out. 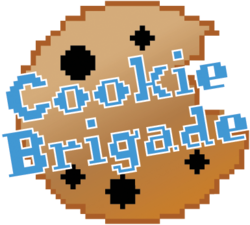 The Cookie Brigade is a ragtag group of PAX Community members who have assembled since 2007 to provide our fellow gamers with delicious baked goods! Cookies are baked by the community, brought and shipped from afar by the community, and distributed by community. The Cookie Brigade does not sell cookies. We give cookies away for free! Brigadiers also accept donations to Child's Play, which are entirely voluntary and greatly appreciated! And it's very convenient to get a cookie and give a donation at the same time. Starting in 2007, the Cookie Brigade began a mission to give these cookies in exchange for donations to Child's Play, the charity started by Mike and Jerry that provides entertainment to kids in children's hospitals. Since starting on this mission, the Cookie Brigade has raised over $343,000 mostly by the handing out of cookies and the reception of donations from the incredible, amazing, and generous PAX attendees! So far this year we've already raised over $40,000 for Child's Play! Woooooot! Thank you everyone for your generous donations, you have helped an awesome cause! Looking to Volunteer? Head to http://cookiebrigade.org/ for more information! Looking for some general information? Check us out on the PAX Community Wiki!  And before or during pax, feel free to light up the Cookie Signal on Twitter! I WANT TO HELP IN THE BRIGADE! We can definitely use your help! Sign up at our website, http://cookiebrigade.org if you wish to participate in the organizing, baking, and/or distributing! An important note: due to certain external pressures on the Brigade we have to keep some of our more sensitive planning operations private. If you sign up on the Cookie Brigade website you will have access to our public forums but will need to submit and application through the site to become a brigadier. Thank you for your understanding! We give out cookies, we do not sell cookies! We do happily pass donations along to Child's Play, so feel free to give us donations if you want. Keep it PG and family friendly. We love to give cookies out to kids and as such we ask all brigadiers to remain family friendly with their cookies (sorry no dickerdoodles) and distributing activities! Have fun and enjoy PAX! This is a big year for Cookie Brigade! West 2017 will mark 10 years for us! The traditional gift for a 10 year anniversary is tin, so we're making cookie tins. Each tin will have 12 cookies made by our talented bakers. We're taking preorders right now. You can order a tin and pick it up form us at Unplugged (or West or Aus) or you can have it shipped to you if you want the sweet Cookie Brigade experience delivered to your door. Order your tin on this page. Disclaimer: All funds collected from the tins will go to the Brigade's operating/internal costs, not Child's Play. any cookie updates for unplugged? There will be many cookies! There being many cookies is enough of an update for me, i am excited to eat all the cookies! I have a few friends interested in baking cookies! Even the local bar I host events at haha! Hi, I have some questions! While I understand there isn't a time commitment, would I be able to distribute cookies if there's downtime in my schedule? Or, if I have a partner, switch on-and-off while we're waiting in line for an event? Any other advice you'd have for someone interested in baking and distributing? Thanks! Yep, those are totally ok. You can carry cookies with you and distribute at a panel you're already attending. Or grab a table in tabletop and do a quick walk while your friends set up the game. Or you can carve out an hour or so dedicated to just distributing. That's kinda what we mean by no time commitment. It can be a dedicated thing or just a quickie while doing things you'd already be doing. Yay, I'm looking forward to making some this weekend! Requested "spicy things" and desperately hope to track down whoever has'em. For everyone experiencing a PAX for the first time, let me tell you, the Cookie Brigade are Good People™ and you should donate and enjoy a cookie every time you see them! Any details / time slots of where we can collect tin's at unplugged if we ordered one for pick up? I'll hopefully have more times/locations soon, need to get on site to get a better feel for some of the locations. An email will also be going out to everyone with orders to pick up at Unplugged with information on Thursday. My baking loving dumbass somehow missed all of this. Can I still bake/distribute at this point? Like, if I bake and then sell at my regular happy hour spot for a couple bucks a tin, can I give that to someone? It's never too late. We should definitely onboard you if you want to distribute, are you around Thursday evening to come to our meet up at the Aloft? Thank you to everyone who attended PAX Unplugged. We raised an astounding amount, over $14,000 in a single weekend. This is a new record for us for the first year of an event. You guys were so enthusiastic that we ran out of cookies and had to ration our supply in order to have enough for each day. We'll be back next year with more cookies! Great job cookie brigade! Thats a lot of cookies! Good job, everyone! I saw that you were selling the tins online and wound up finding someone at the con selling them. I didn't even know they were stuffed with cookies/treats! My fiance would probably love to contribute cookies or help distribute next year. How can I get the recipe for the mocha choc chip shortbreads that I had?! Awesome job to all the bakers and distributors for knocking it out of the park. I’ve done both at PAXEast before and was envious of how you didn’t seem to need to be discreet about bringing the food in?